I visited Portslade in search of John’s crash site. Using Michael Robinson’s description of the crash in his book The Best of The Few, I was looking for St Mary’s Convent, Jubilee Field and a flint wall, all with a church nearby. Some pre-trip research had revealed that St Mary’s Convent no longer existed but the building and its grounds now belonged to Emmaus Brighton & Hove, a community dedicated to helping the homeless. I arrived in Portslade early on a very wet Sunday morning. Locating the former St Mary’s Convent was easy enough and finding the church took a matter of minutes as its tower was clearly visible through the grey drizzle. It turned out to be St Nicholas Church. I couldn’t see a nearby field or a flint wall so took a chance and asked a passer by. He explained that Jubilee Field had been built on and was now Easthill Drive [Google map]. He asked why I was interested and, after I explained, said that he had personally witnessed John’s crash as a boy and even cycled up to Jubilee Field to see the wreck of the Spitfire. I was too stunned to react sensibly and the gentleman wanted to get out of the rain and into church. Quickly I ran onto the High Street and bought a pen and paper, wrote my contact details down and rushed back to the church. The service had just started so I couldn’t interrupt. I whispered my tale to a lady dishing out hymn books and she agreed to pass my details on to the gentleman I spoke to. That done, I decided to sneak into the grounds of the former Convent and see if there was any sign of a flint wall. 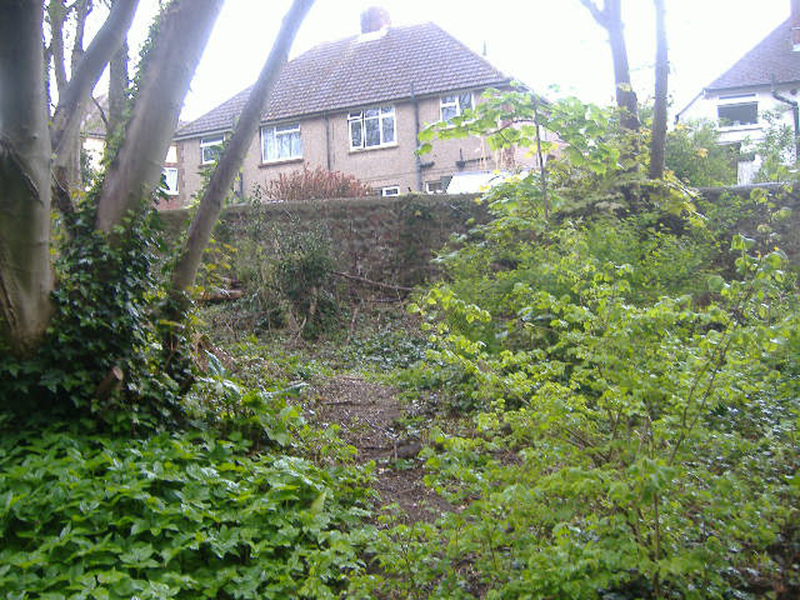 There was indeed a flint wall dividing the grounds from the back gardens of the houses in Easthill Drive. I walked along the length of it and estimated where John may have come to ground, then took a walk up Easthill Drive. A couple of days later I received a call from the gentleman I talked to in Portslade who simply said he didn’t want to remember the crash as it was just too long ago. I pressed him gently but he was adamant. He did though confirm that the flint wall I saw was the original flint wall John’s Spitfire came down on. This is close as I am ever going to get to John’s crash site. In a more personal post script, I discovered that John’s uncle, Bert Drummond, actually lived in my road from 1963 until his death in 1972. His old house is currently up for sale with my brother-in-law’s estate agents. 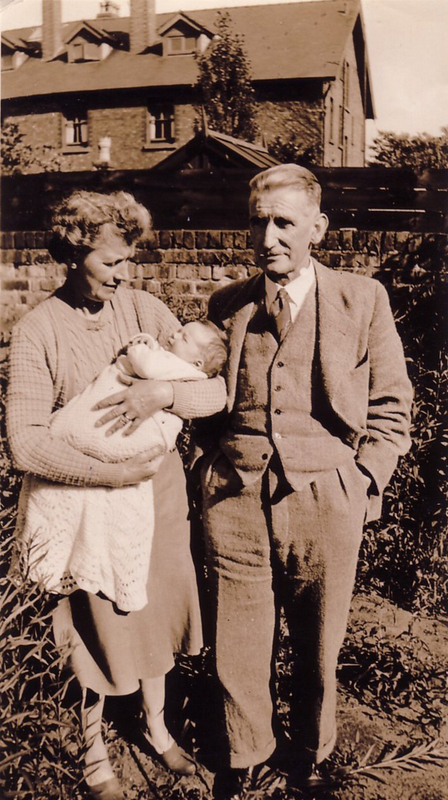 To add a further personal note to this story, Bert actually taught my father-in-law physics at Bootle Grammar School for Boys during the 1940s. My father-in-law remembers “Bulldog” Drummond well, saying he was a great teacher and an influence on his future career as an engineer. He even played for the Bootle Grammar School Old Boys Association football team set up by Bert. Just as I completed my research, I learned that BBC TV were filming a dramatisation of Geoffrey Wellum’s book First Light, and it was to include John Drummond played by Alex Waldmann. The BBC page has some information, with more in their press pack. Thanks to Major I.L. Riley TD MA FSA Scot (ret’d), Honorary Secretary, Liverpool Scottish Regimental Museum for research into John’s father and uncle’s WWI record. Special thanks also to Group Captain Dougie Barr of 46 Squadron for unique material and insight. Special thanks due to Ulf Larsstuvold for his remarkable analysis of the 46 Squadron photographs that enabled me to place John in Norway to the exact day. Special thanks to Geoff Wellum for sharing his personal memories of John and allowing me to quote directly from his book First Light. A particular special thanks to the Drummond family whose input, generosity and encouragement have been invaluable in helping me complete this piece.